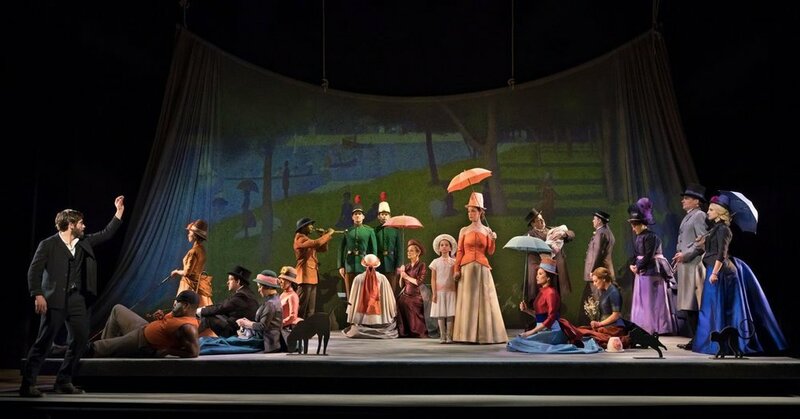 Jake Gyllenhaal and the cast of the 2017 Broadway revival of Sunday in the Park with George. Photo by Sara Krulwich. In my review of 42nd Street Moon's production of Saturday Night, I noted that the show would appeal to Sondheim completists. So then, of course, I had to tally up the Sondheim shows I've seen* and calculate how close I am to completist status. I'm 2/3 of the way there! *Counting live productions only, using Sondheim's books Finishing the Hat and Look, I Made a Hat as a reference for what he considers his canonical stage works. Youthful ambition propels "Saturday Night"